CIA director Leon Panetta said the agency has stopped using contract employees to conduct interrogations. WASHINGTON - The CIA will decommission the infamous "black sites" where terrorism suspects were interrogated with harsh techniques that included waterboarding, agency director Leon Panetta said yesterday. Panetta said in a letter to agency employees that he had informed Congress of the CIA's detention policies following an order by President Obama in January banning harsh interrogations and ordering that the secret detention sites be closed. "CIA no longer operates detention facilities or black sites and has proposed a plan to decommission the remaining sites," Panetta wrote. "I have directed our Agency personnel to take charge of the decommissioning process and have further directed that the contracts for site security be promptly terminated." The now-empty "black sites" in unidentified countries were used to detain suspects who were captured in the "war on terrorism" launched by former President George W. Bush after the Sept. 11 attacks. The suspects were accused Sept. 11 plotter Khalid Sheikh Mohammed, and Al Qaeda suspects Abu Zubayhda and Abd al-Rahim al-Nishiri. 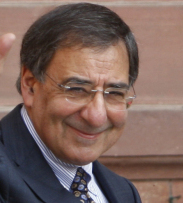 Panetta said the CIA would continue to question suspects as necessary. But he said it would use "a dialog style of questioning that is fully consistent with the interrogation approaches authorized and listed in the Army Field Manual," which bans harsh techniques. "CIA officers do not tolerate, and will continue to promptly report, any inappropriate behavior or allegations of abuse. That holds true whether a suspect is in the custody of an American partner or a foreign liaison service," he said. Furthermore, he said, "no CIA contractors will conduct interrogations." Human rights advocates have said some of Obama's policies fall short of guaranteeing humane treatment for terrorism suspects seized overseas. They have also urged the administration to more aggressively investigate and publicize abuses under the Bush administration. CIA Director Leon Panetta also said the agency has stopped using contract employees to conduct interrogations.